Get ready for the festive shopping season as Festive-Pop Up is here to dazzle up your wardrobes. From the exclusive collection of bags to the exquisite collection of jewelry, all hailing from the renowned brands, you can’t possibly miss anything here. 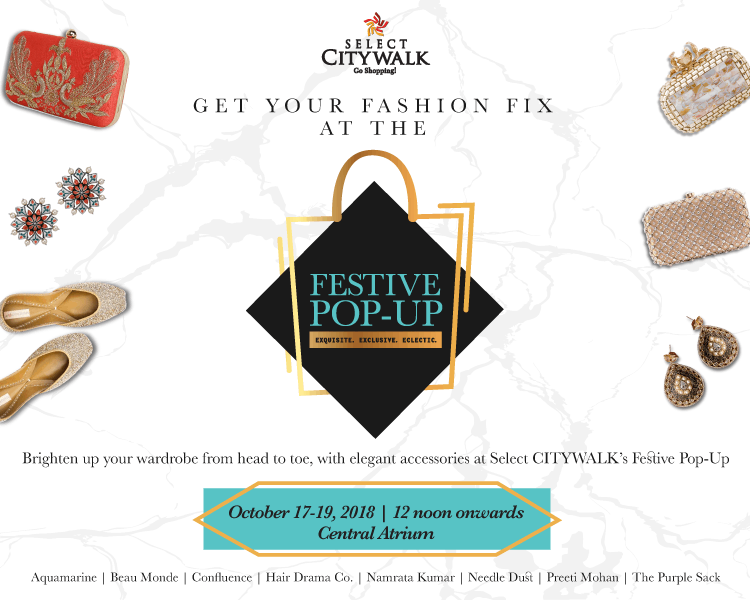 So join us in this opulent affair and shop your hearts out from October 17 to October 19, 2018, at Select CITYWALK.